I wasn’t a deprived child, by any means. I had everything a kid could ever want, and more. I was, and I am, extremely lucky and blessed. I was raised by my grandparents after my dad died in a car accident. My grandfather was one of the most impactful people, to make a difference, in my life. He was as much of a dad to me as anyone ever could have been. My dad’s brothers, my uncles, were also father-like to me as I grew up. 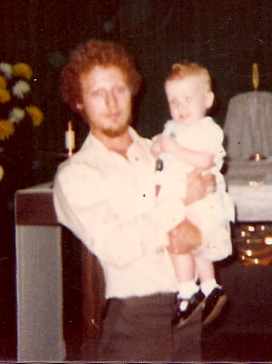 But deep down, I always wondered what it would have been like to know my dad. Would I have wrapped myself around his little finger as a little girl? Would we have done father/daughter things as I grew up? Would he have been proud of me? Would he have been there to see me go to prom? Get married (all three times)? These things I will never know. However, thinking about my dad, it really makes it super-important for ME to ensure that Mike does all of those things for Chyenne that I would have wanted when I was a little girl with my own dad. 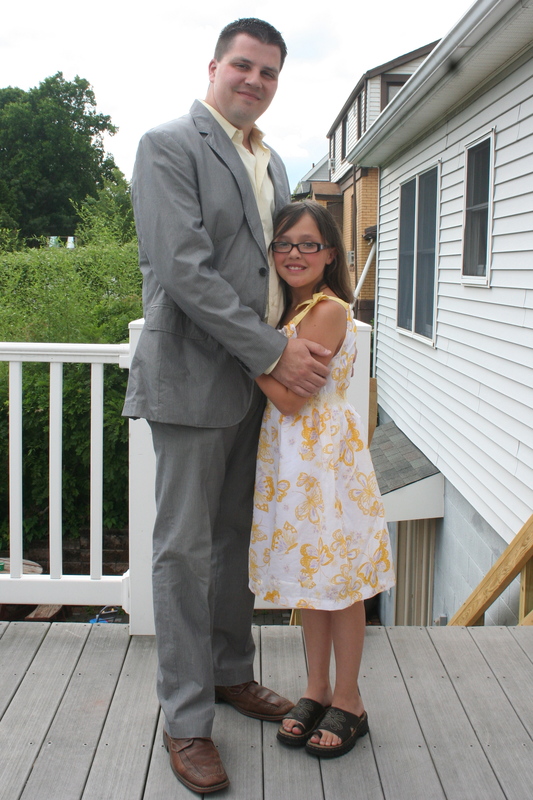 So, today, they went to a Daddy & Daughter Dinner and Dance together. Just the two of them. All dressed up, his & her flowers, professional photographs, a nice dinner… all followed by dancing (the hokey pokey, the chicken dance and the electric slide). I truly believe that little moments like these will be those that they will both look back on and cherish. I know if I had a moment like this to look back on, it would certainly be one that would be close to my heart. It’s been a little more than a year and a half since Chy has “officially” been a part of our family. Things have gone swimmingly well with the whole situation. We love her dearly and are so very happy to have her as a part of our lives. She helps keep the feminine balance in our household. It’s not always easy, but it truly is worth it. Sometimes it’s hard for Mike to figure out his place in her life, and getting to know a pre-teen girl adds to the unknown for him. So, moments like this Daddy & Daughter event are so important. They’ve both missed out on so many opportunities like these, so while she’s still willing to do these types of things, we certainly have to embrace the moments as they come…. one day she’ll be a teenager! Yikes!